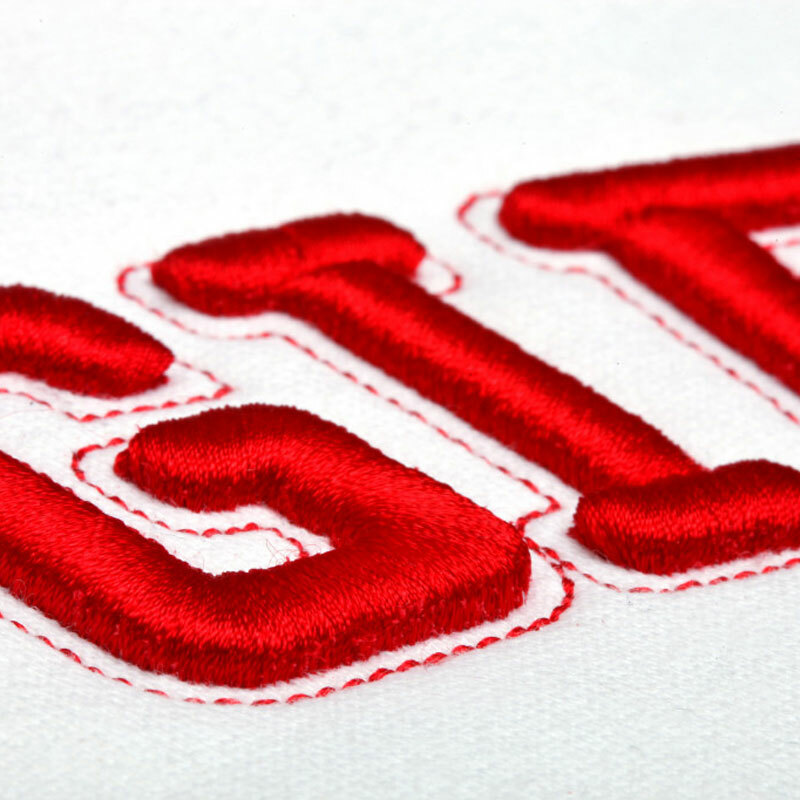 Our custom embroidery done in-house is of the highest professional quality. T-Shirt Embroidery is the most durable of printing techniques, typically outliving the garment onto which it is applied. This process is generally the most expensive option, especially for larger designs, as a result of the high degree of customisation and attention to detail. For this reason we cannot offer embroidery services same day, next day express delivery. We do possess the capacity to offer the service, but this process is the most labour intensive so we ask that you contact us for further information so we can provide a more concrete approximation for delivery. What is the embroidery process? 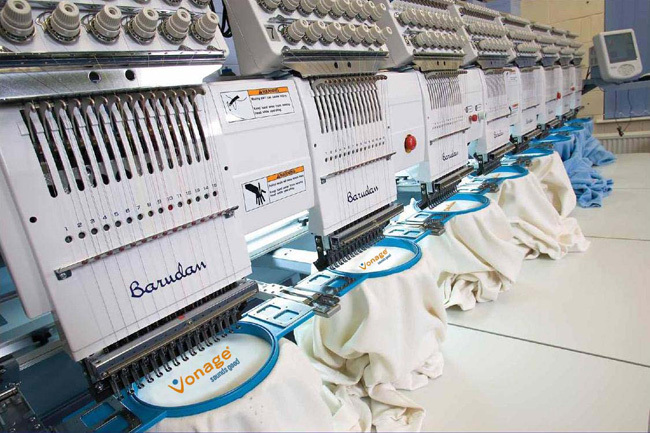 The way the embroidery process works is that artwork is first digitised and then transmitted to automated embroidery machines that stitch the artwork or design directly onto the garments. The embroidery process uses only single coloured threads and stitching when replicating designs. This can prove to be complicated when trying to achieve an exact recreation of artwork and designs that involve lots of colours, undertones, and shading. Furthermore, some artwork and designs with text smaller than 4-5mm may need enlarging and very fine detailed artwork may need to be simplified in order to produce the highest quality result. For this reason we must evaluate the artwork or design in order to confirm if it can be done or not and in a manner that is consistent with our quality standards. 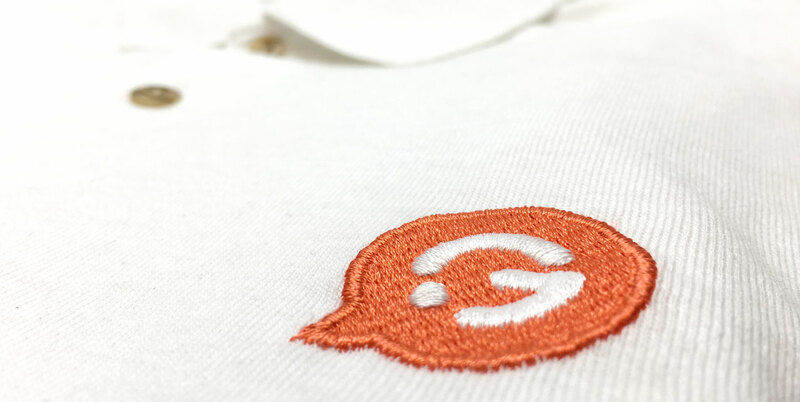 The high quality end result produced by embroidery provides an elegant and durable finish that is ideal for establishing a professional look and corporate identity. Our catalogue offers a vast selection of embroidered corporate clothing, uniforms, work wear, and other garments to companies in London and in the United Kingdom. 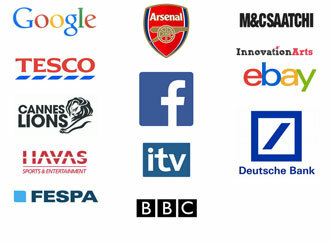 We collaborate and specialise with all different types of businesses ranging from blue chip organisations to small businesses, health clubs, and self-employed individuals.